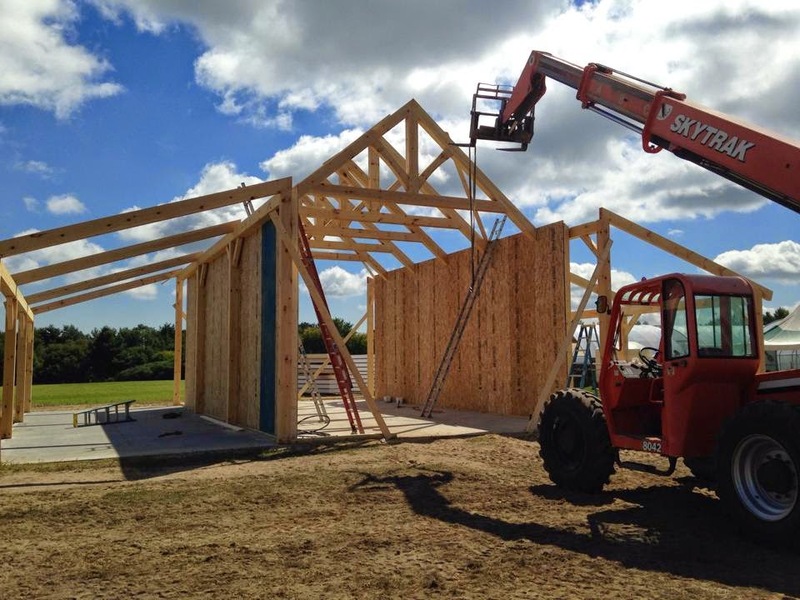 This is a barn being built with our Structural Insulated Panels. It has beam pockets in the eave wall SIPS to accept timber trusses. The trusses will help support the roof SIPS while adding a beautiful look inside!